If you have run out of credits early in the month you can renew or change your subscription early and receive the months credits straight away. Your monthly renewal then starts again from that date. 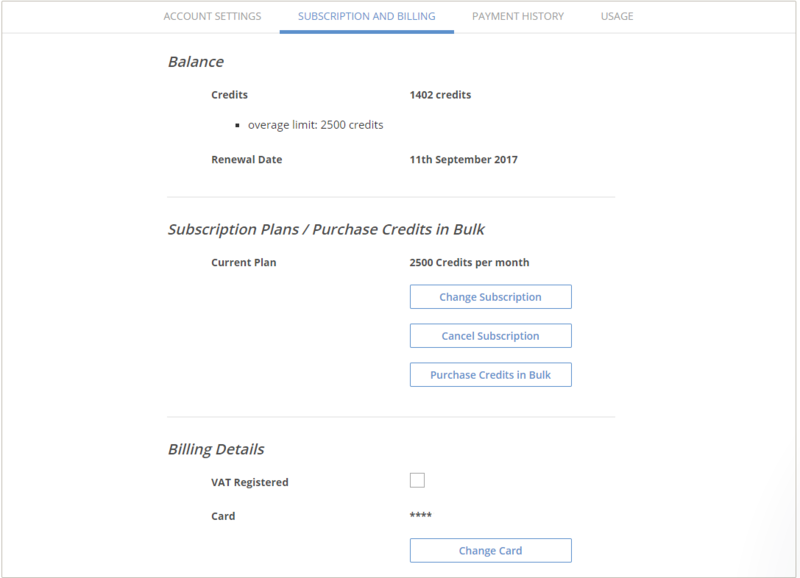 You can then select the level of subscription required and click Change. If you are looking to change subscription and have the credits added straight away, you will want to select the renew now option. 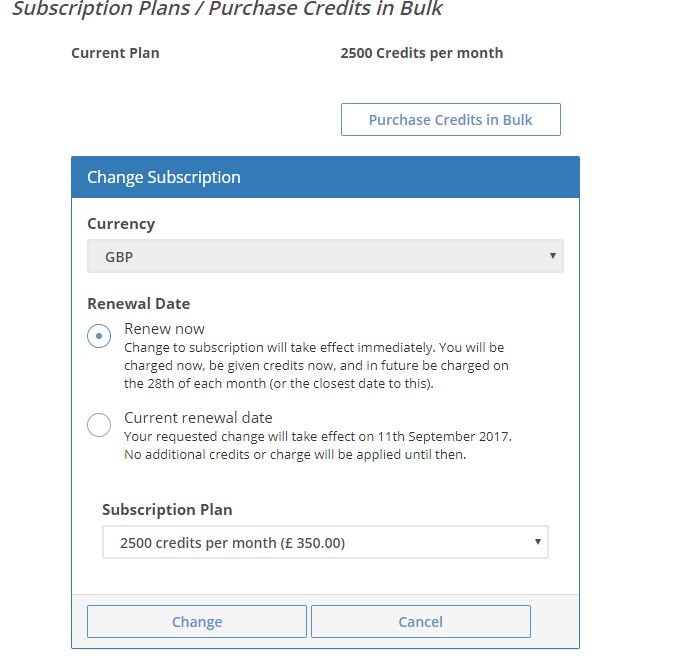 If you are happy to wait until your usual renewal date for the subscription to change over, you can select current renewal date. *** Note - Access to the subscription is only available to the billing account holder. Invited users do not have access to the subscriptions.